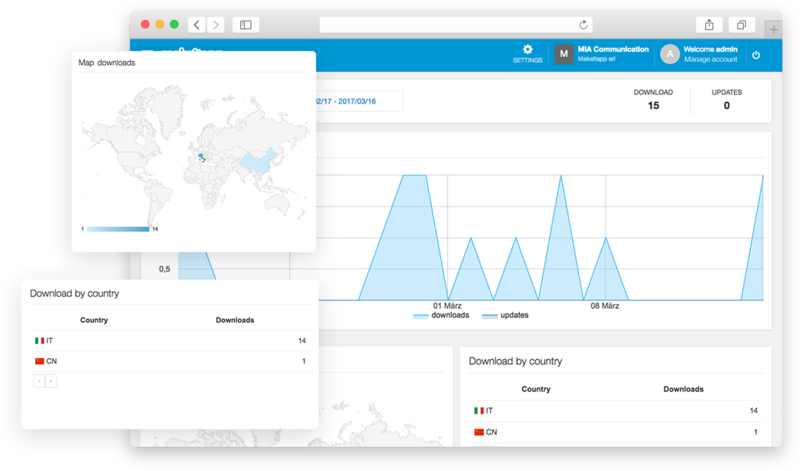 Anywhere, anytime: all you need is a device connected to the internet. Simple, intuitive and time saving! Add and modify content without any worries, the system will format it automatically according to the required output (mobile, web and Social), it will resize and crop images, and check that all fields are correct. Say goodbye to the traditional sms! Surprise your clients daily with interactive messages: fast, effective and free. Monitor your app users! 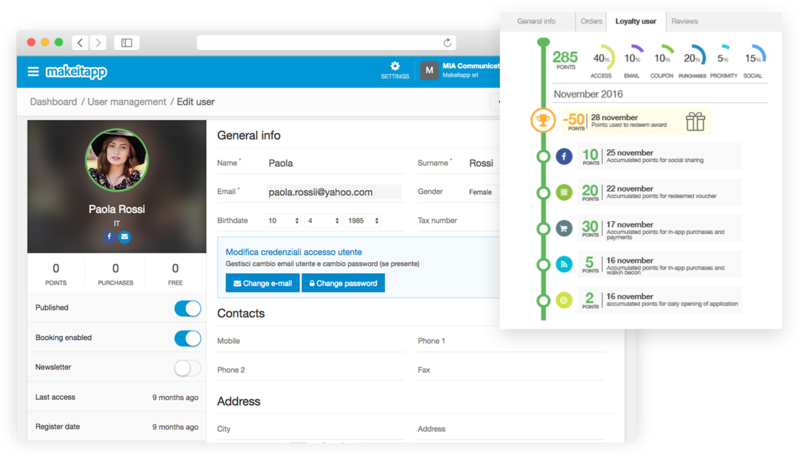 Discover who has registered and assign user rights through the control panel. The new way to gather data! Follow customer behaviour patterns, adjust your strategy and watch your business soar. Always be in your customer’s pocket with our m-commerce solution! 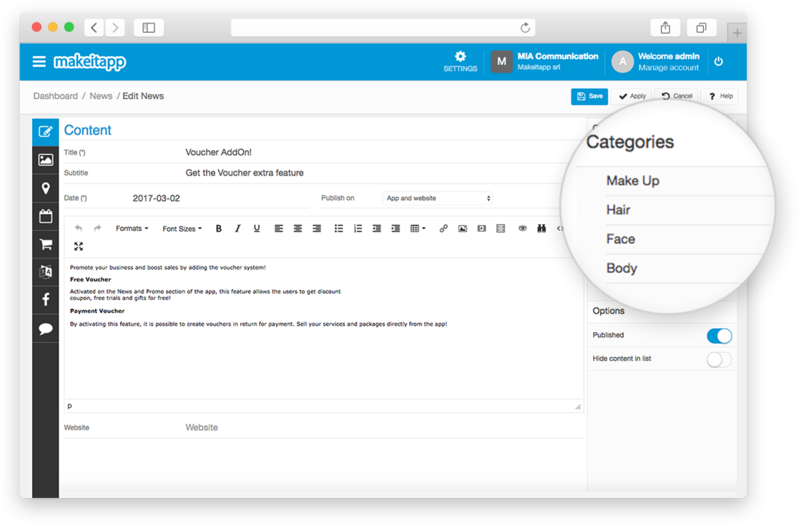 Use the control panel to add products and their characteristics. 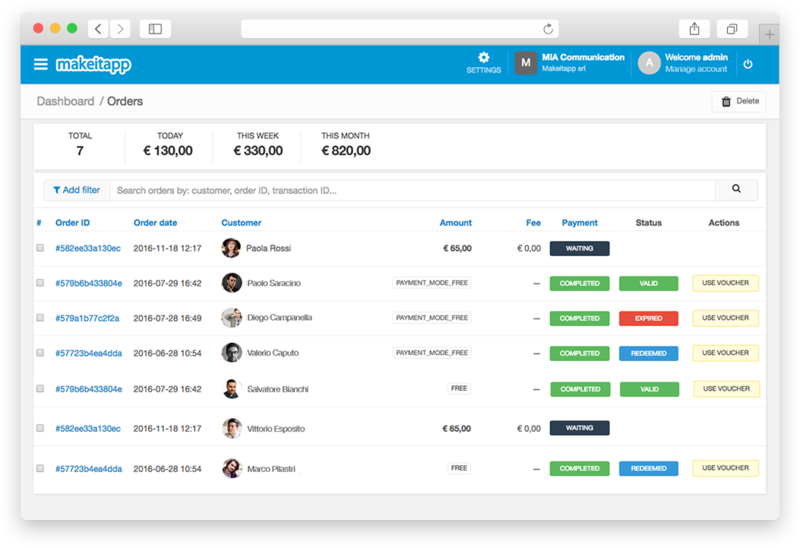 Transaction history is available by logging in to the control panel: consult payments and orders rapidly. Revolutionize your agenda! 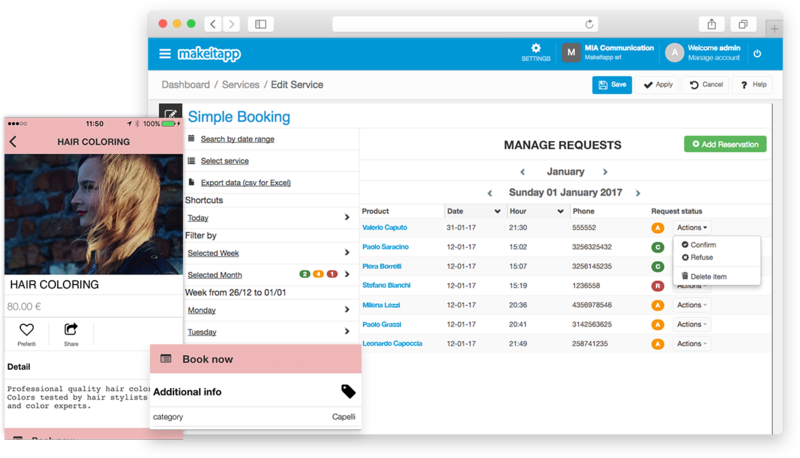 Receive client requests such as appointments directly from the app and employees can manage them from the control panel. Make it easy for customers to find you! 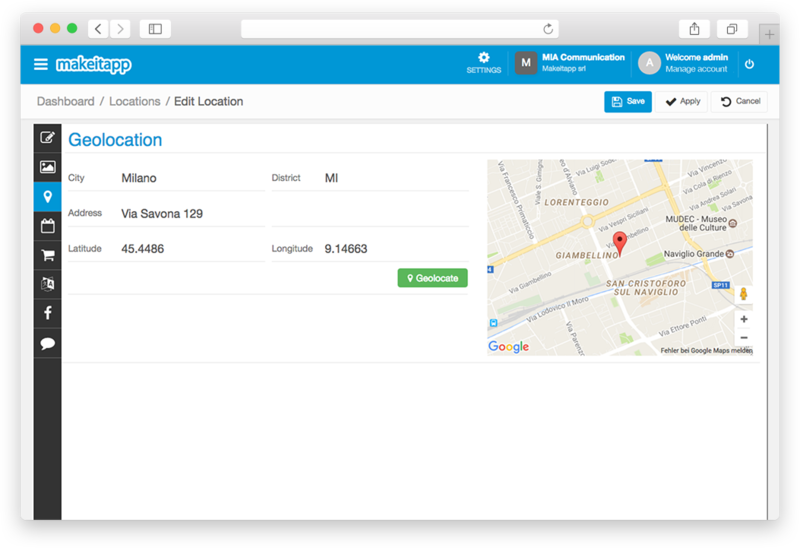 Correlate app content to a geographic location by entering the address from the backend. Save time! 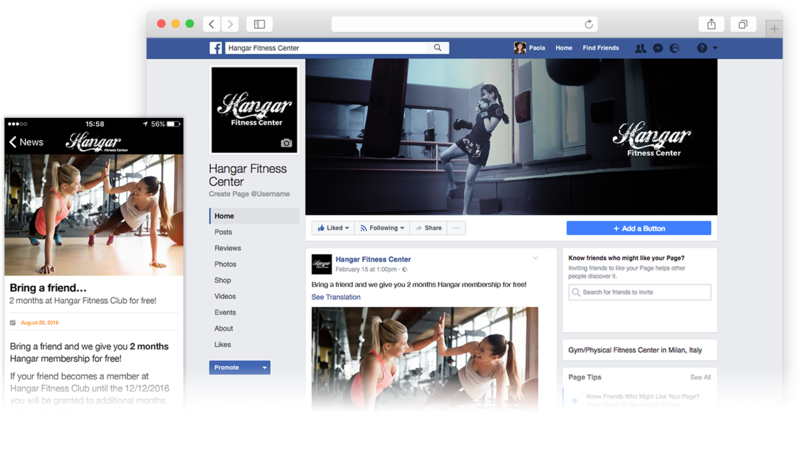 Create the content once and with the click of a button it will appear on your app, website and Facebook page. 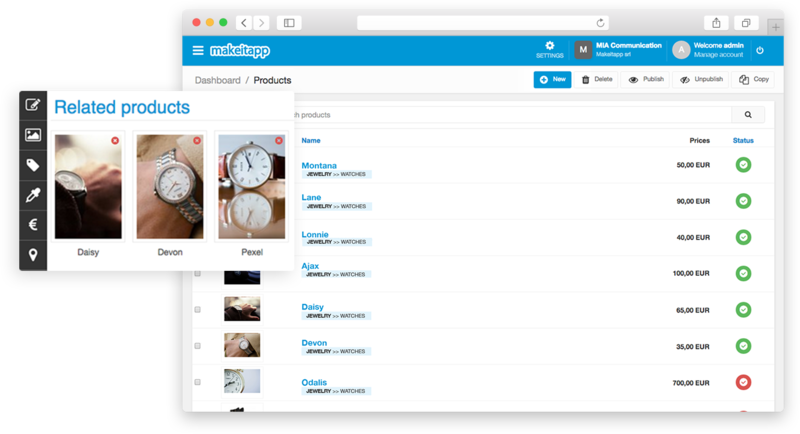 Makeitapp is a technology platform that develops fully native applications for both iOS and Android. Makeitapp takes care of business needs, customizable design requests, the development and the publication of the app. 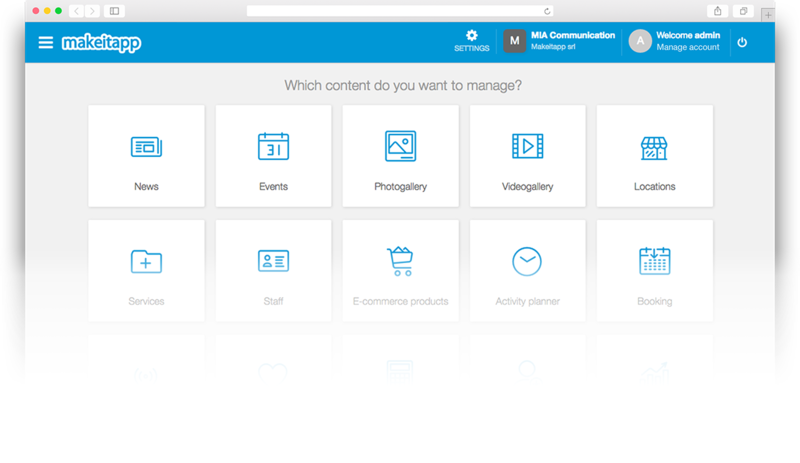 Clients will be able to manage and edit the content of their app through the control panel. 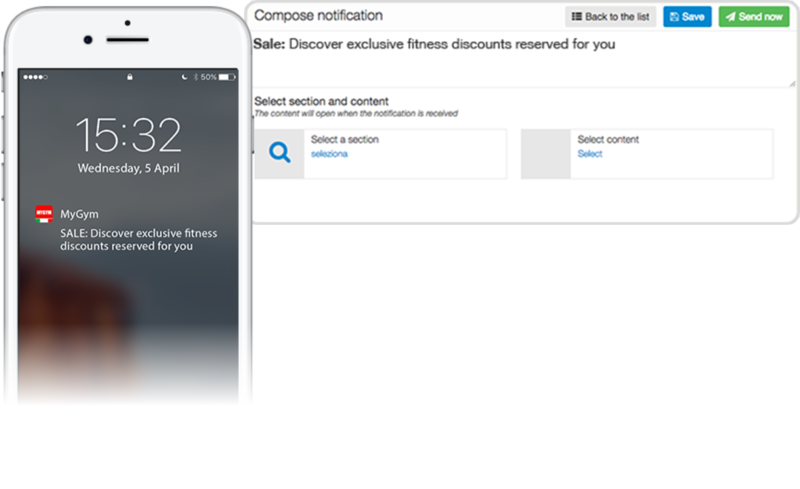 Furthermore, Makeitapp’s proximity marketing suite offers integration with beacons and NFC technology.